I generally learn fast. But with digital art, I have always felt like I fell behind. Everyone else was so good at it and I was a mess. This past winter, I bought CS6 and have been slowly trying to acclimate myself with Photoshop and the whole digital painting thing. Years of having Corel Painter did nothing for me, so I thought I was a lost cause. Far from. It just took figuring out what works for me. So here’s the progression of the latest piece I worked on. Step 1: I used a grid system to get my outline ready to go, a quick gradient paint for the background (it’s barely a gradient, but it’s there). Then I start painting in skin. I used the original image to pick up colors, so there was a lot of switching between this image and that one. Step 2: I start filling in details in the skin and smoothing it out, picking up all the in between colors, deepening shadows, defining shapes. 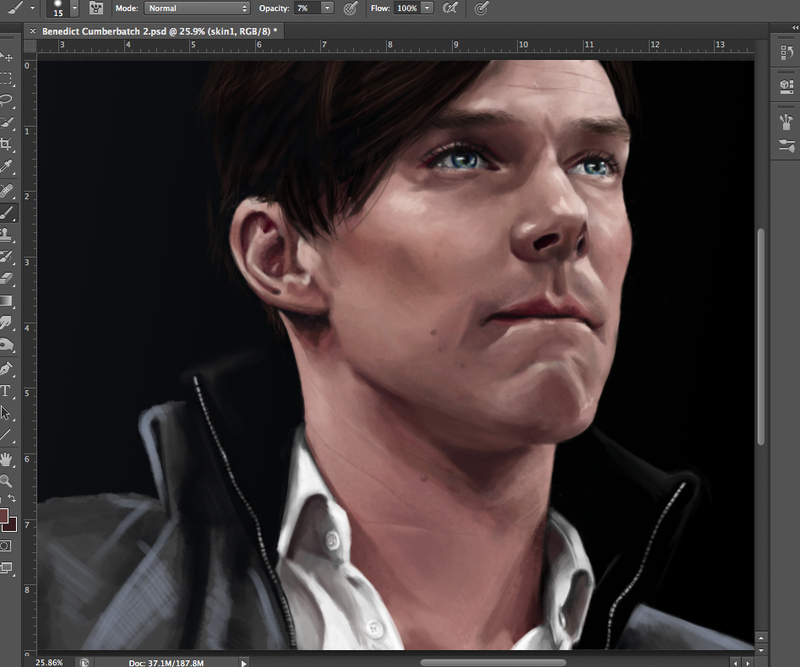 I got annoyed with the skin at one point and moved on to work on the hair. 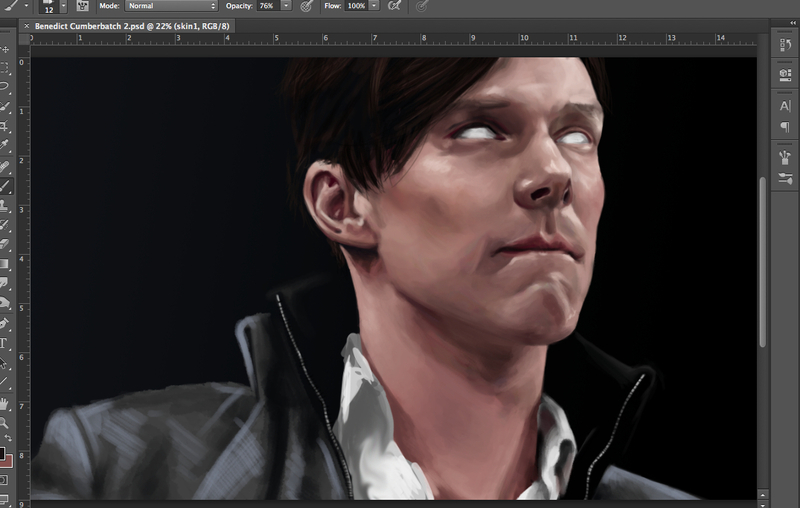 Step 4: Working on the eyes, fixing some skin issues around his mouth, still, and moving on to work on other parts of him, like the jacket. Most of the work you see on the jacket here didn’t make the final image because I just wasn’t happy with it. 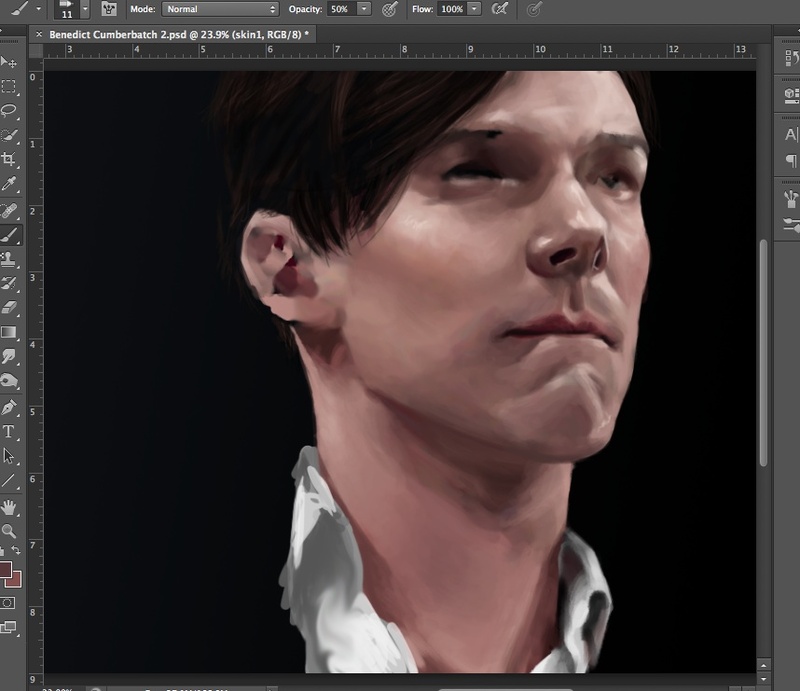 His neck looked a little flat to me here, but it matched the reference image so I kind of let it be. 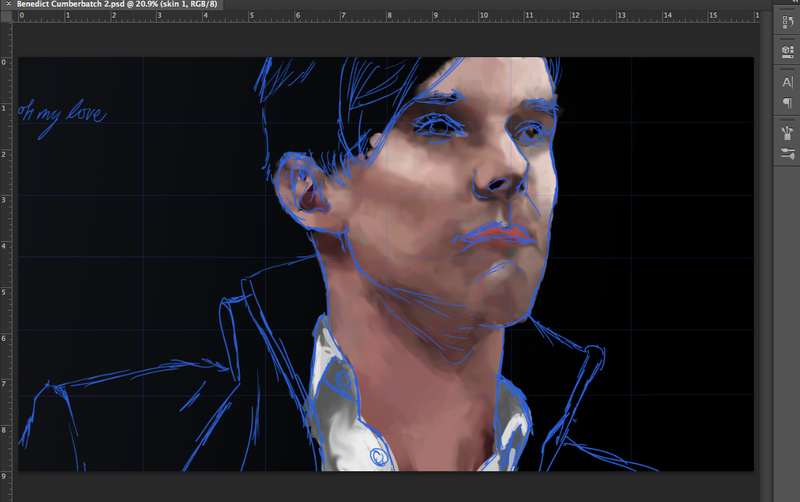 Step 5: I spent a long time working on his eyes and eyebrows, and I was satisfied with them in the end. 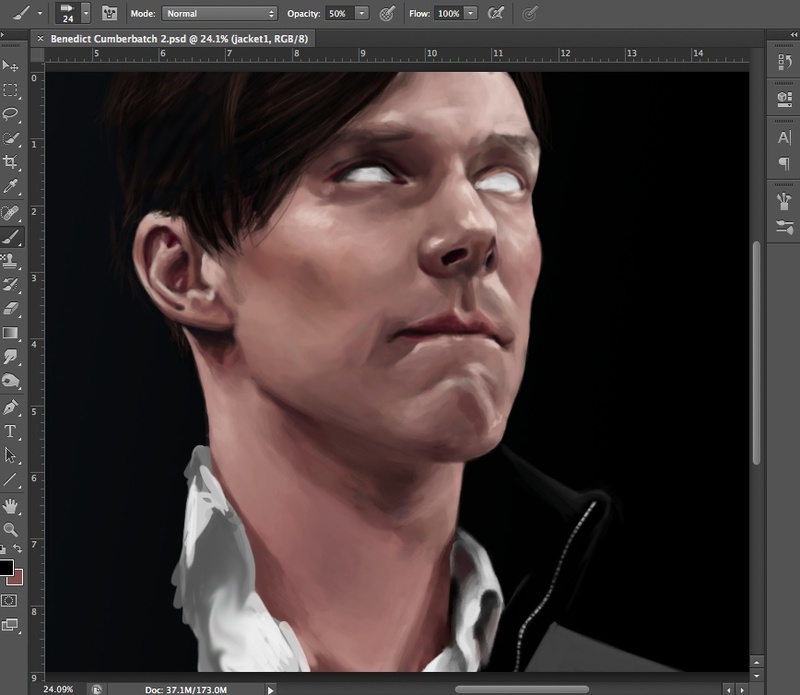 I then finished his shirt, and then went back to working on his skin. I added details like moles and wrinkles, and then used a different brush to go in and add skin texture, and a different one to add the stubble on his upper lip and jawline. I was incredibly satisfied with how this looked. Figuring out little things like adding skin texture was huge for this. My older sister also taught me how to make custom brush shapes in PS, so a texture on his jacket in the finished piece (not shown here) was one I made myself. It’s taken me three digital paintings to feel like I’m getting this. Each time it turns out better than the last, and this one feels like I’ve finally hit my stride. Now if only I could make this a faster process….